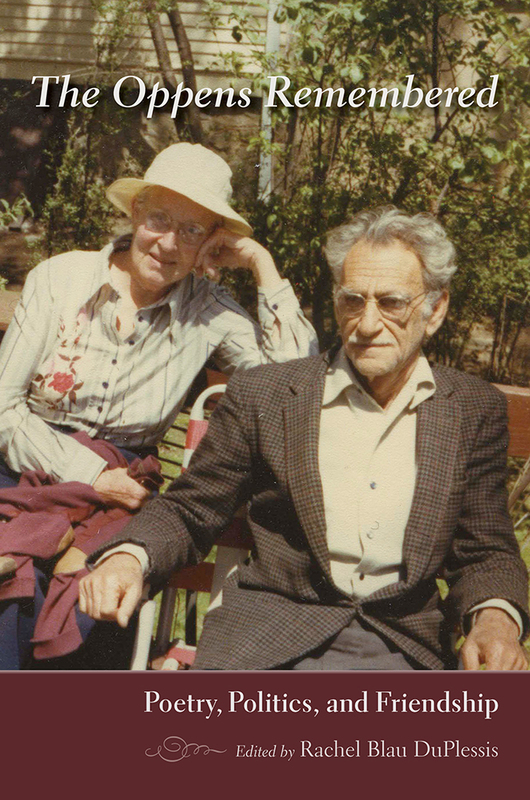 Poet George Oppen (1908–1984) and artist and writer Mary Oppen (1908–1990) were striking, exemplary, and somewhat mysterious cultural figures of the last decades of the twentieth century. To a younger group of artists, George Oppen functioned as a mentor, an irritant, and a supporter. Together, because of their intense and unique union, the Oppens provided a model of the companionate artistic life. In this book the poets, editors, writers, composers, and teachers who knew the couple consider their encounters and relationships with George and Mary Oppen. Set at a politically crucial time in US history, from the Cold War through the Vietnam War and the women’s movement, the essays show how people tried to integrate art and politics in the spirit of the Oppens’ own debates and choices. Award-winning poet Rachel Blau DuPlessis, professor emerita of English at Temple University, is also a critic and scholar with a special interest in modern and contemporary poetry. She is the author of several critical books, including Genders, Races, and Religious Cultures in Modern American Poetry, 1908–1934. DuPlessis is also the editor of The Selected Letters of George Oppen.